I often carry a small vial of this spiced kale and nori medley in my purse, refilling it every few days. I got the idea years back when I saw the words "salad booster" on a jar in the spice section of one of the natural foods stores I frequent. The seasoning was a blend of a few types of seaweed, sprouted seeds, and the like. Nutrient-dense and delicious, you'd use it as a healthful seasoning for salad, vegetables, stir-fries - whatever you like. The idea stuck with me and I started making my own, usually using a toasted nori and kale base. From there I'd add nuts and/or seeds, and whatever spices I was craving at the time. I'll include my base recipe down below, but really, think of it as a jumping off point. Heat the oven to 300F / 150C with racks in the top and bottom third. Wash the kale well, and pat dry thoroughly with a clean dish towel. 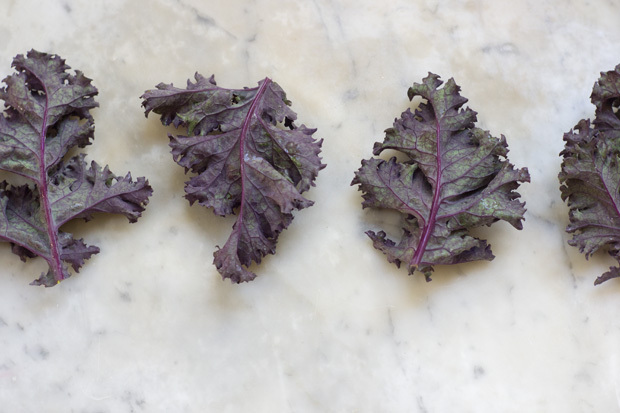 Arrange the kale in a single layer on one parchment-lined baking sheet, and the nori, sunflower seeds, and lemon zest on another. I often tear the nori into pieces so it's easier to arrange. Place both sheets in the oven until everything is nicely toasted. Remove the sunflower seeds, lemon zest, and nori after about 20 minutes (keep a close eye on things). And remove the kale after that, it typically takes about 5 minutes longer. Let all the ingredients cool and crisp. 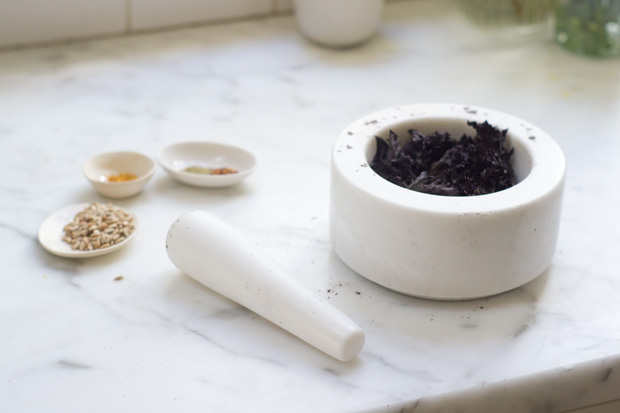 Crumble the nori and kale into a large mortar and pestle along with 1 tablespoon of the sunflower seeds. Pound until finely ground. Alternately, you can pulse in a food processor. 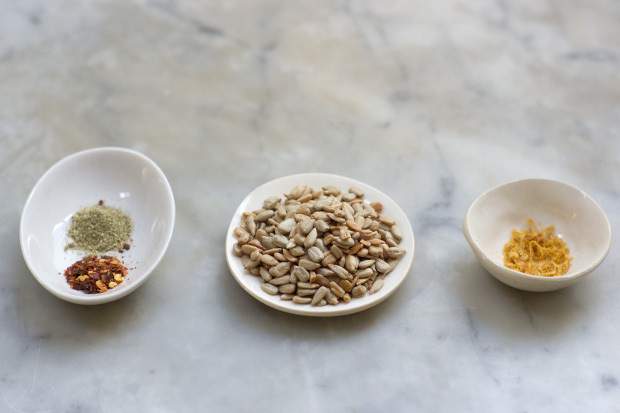 Work in the dried lemon zest and pepper flakes (and sansho pepper if you're using it), and add the remaining sunflower seeds. Blend until the seeds are broken up just a bit. A shredded green salad bulked out with blanched broccoli, avocado, pistachios, a bit of feta, and tossed with a tarragon balsamic vinaigrette & pics from a special visit to Anokhi cafe and HQ in Jaipur.